PV CYCLE, a European initiative to address Environmental, Health, and Safety (EHS) issues in Photovoltaics, was kicked off during the 3rd PV Industry Forum, New Strategies for the Booming PV Market, at the 21st European Photovoltaic Solar Energy Conference and Exhibition (EU PVSEC) in Dresden, Germany. 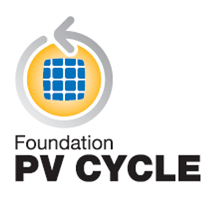 The PV CYCLE initiative was launched by the European Photovoltaic Industry Association (EPIA) and the German Solar Industry Association (Bundesverband Solarwirtschaft, BSW) to create a permanent international foundation chartered with defining and establishing a solar module take back and recycling system with the active participation of manufacturers and stakeholders. Through self regulation, the European PV industry plans to define a robust program for the PV product life cycle and avoid political solutions imposed by Brussels. Today, the PV industry enjoys exceptions from the European Union (EU) Waste Electrical and Electronic Equipment (WEEE) and Restriction of the use of certain Hazardous Substances (RoHS) directives, but these exemptions will be reviewed in 2007. See Implications of EU environmental legislation for PV for an overview of the issues, recycling efforts, and design for recycling techniques. PV CYCLE has outlined further objectives to gather and publish EHS data regarding environmentally sustainable production, encourage global cooperation, and act as a consultancy on EHS and waste treatment issues to regulators and governments worldwide. The module take back program will focus on Europe first with ambitions for an international program later. A few companies have been proactive leaders on PV module take back and recycling issues. First Solar, LLC, a manufacturer of CdTe (Cadmium Telluride) thin film PV modules, pioneered a model fund to cover the estimated future costs of reclaiming and recycling First Solar modules at their end of life. Managed by a major international insurance company, the fund covers transporting retired First Solar modules to a recycling center and recycling them into new products. RECYCLING OF SOLAR CELLS AND MODULES –RECENT IMPROVEMENTS and LIFE CYCLE ANALYSIS OF A SOLAR MODULE RECYCLING PROCESS. Beyond business considerations, the PV industry is motivated by industrial social responsibility and sustainability concerns to green stakeholders and political supporters. In a sustainable world, the value chain concept is obsolete; companies and industries need to think and plan for the value cycle where recycling closes the value loop. A follow up meeting for the expected constitution of Foundation PV CYCLE is tentatively planned in Berlin on November 6, 2006. If you are PV value cycle manufacturer, importer, or supplier or an EHS stakeholder, I suggest you contact EPIA at epia@epia.org and get involved pronto.